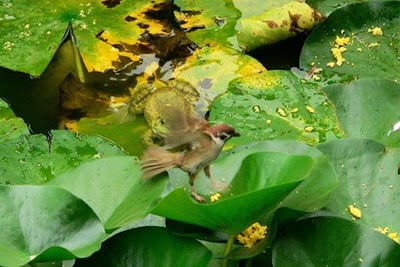 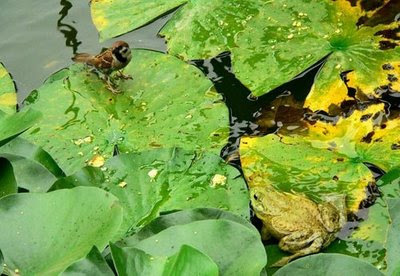 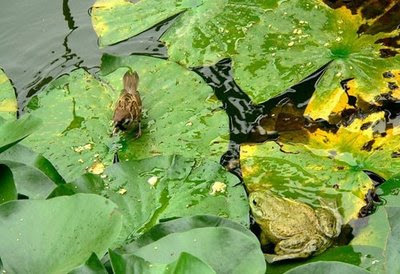 Spectacular captures of the American Bullfrog preying on an unlucky sparrow. 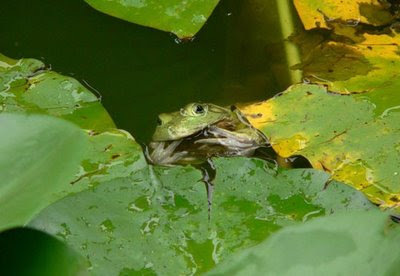 Growing up to a length of 20 centimeters or 7.9 inches, the bullfrog preys on any animal that it can overpower and stuff down its throat. 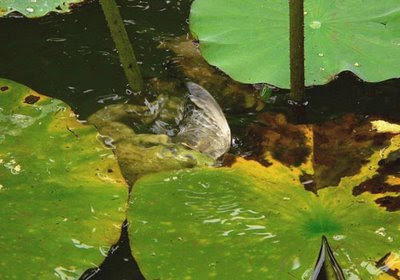 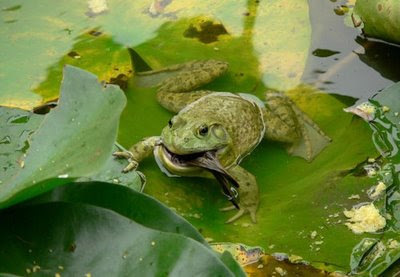 Their stomachs have been found to contain rodents, small turtles, snakes, frogs including bullfrogs and birds of course.